GOOD LUCK TO ALL! 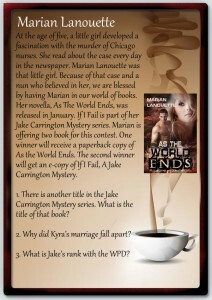 THANK YOU FOR ENTERING THE CONTEST. 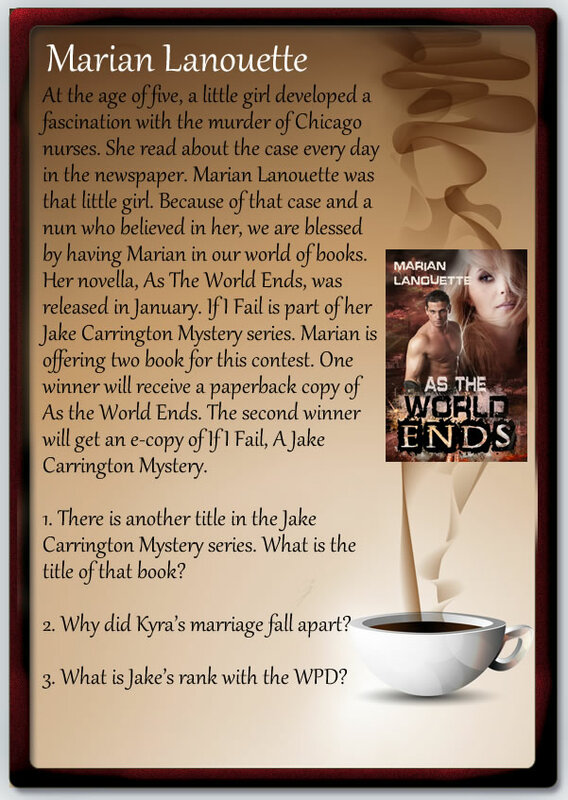 This entry was posted in General and tagged A Jake Carrington Mystery, As the World Ends, Burn in Hell, If I Fail, Jake Carrington, Marian Lanouette, Mystery, Romance, Romantic Suspense, suspense, Thriller. Bookmark the permalink.